Gary L. Caudill, age 72, of Lincoln, passed away peacefully at Bryan East Hospital on February 10, 2019, with his loving family by his side, after fighting a lingering illness for several weeks. 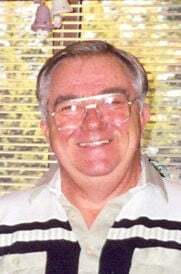 Gary was born September 7, 1946, to Donald and Dorothy (Becker) Caudill in Grand Island. He played Legion Baseball and graduated from Grand Island Senior High in 1964. He served his country in the USAF from 1966 to 1969 being stationed in Japan. He worked for the Grand Island Independent briefly before becoming a food broker in 1969 where he met many people and acquired many good friends. His job took him away from his family a lot as he traveled the entire state calling on various grocery stores and warehouses to provide for them before his retirement. On November 21, 1970, Gary married Jean (Kay). They made their home in Lincoln in 1973. They have two wonderful sons: Scott of Mt. Juliet, Tenn., and Dustin of Lincoln, who he was very proud of. Gary and Jean traveled to many places including Mexico, Hawaii, Rio De Janeiro and on several cruises through his company he earned from his hard work and selling abilities. After retirement Gary enjoyed going to U Stop every morning and having coffee and chatting with the employees and friends he met there. He also enjoyed horseracing, NASCAR, football and playing Keno as well as traveling to see his son in Tennessee and taking Dustin to work and doing errands for his wife Jean. He especially enjoyed talking to Scott about their truck, The Bullet, and watching the Price is Right with Dustin. Gary will be greatly missed by Jean, his wife of 48 plus years. Sons: Scott (Misty), and Dustin. Two grandchildren: Austin (Lily) Poore of Great Falls, Mont., and Kendall (Free Style) Poore of Mt. Juliet, Tenn. One sister, Cheryl (Allen) Valish of Omaha, two sisters-in-law: Marilyn Beyersdorf of St. Paul, and Joan Kay of Norfolk, five nephews, one niece, great nieces and nephews, one great-great niece, several cousins and special friends: Brent Braun, Earl Haddow and everyone at U Stop. He was preceded in death by his parents, Don & Dorothy Caudill, parents-in-law Earl & Caroline Kay, grandparents, Edward & Bregida Becker, Quiller & Emma Caudill, brothers-in-law Ray Beyersdorf & Jerry Kay, nephew Michael Beyersfdorf. Uncles & aunts.